Welcome to the IPIS Open Data page. IPIS publishes a growing number of datasets as Open Data. Here, you can find out how to access and use them. 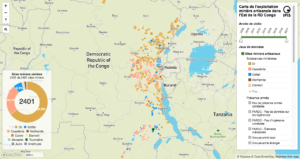 The International Peace Information Service (IPIS) publishes a selection of its datasets as Open Data. These datasets originate from our data collection campaigns and research, and have been internally reviewed and processed. The Open Data is linked to our internal database, such that a download includes the most up to date data-points and reflect the current status of the data as accessible through the IPIS webmaps on the same topics. We are committed to publish Open Data that is reliable, tidy and recent, as we believe that this is can be an essential factor for a good research climate. When collecting data on a new topic, we may however choose to maintain a delay period (up to 6 months) between the publication of a report and the disclosure of the information as Open Data. The Open Data FAQ & Dictionary page helps you understand the different columns and values present in our data. The Open Data ‘Getting Started using Excel’ explains how to use our data in Microsoft Excel and briefly introduces some properties of the data. The Open Data Tutorial was created for more advanced data researchers and gives a more thorough introduction to the data and the possible statistics which can be computed from it. If you still have questions, don’t hesitate to contact us! The datasets we publish can be accessed on the web via the dedicated download page, which lists the datasets available for download. Use the drop down menus to start downloading a layer is a specific format. We advise downloading as CSV or GeoJson. Downloading as Shapefile is possible as well, but will lead to abbreviated column names and errors with exotic characters (‘é’, …). Want to use Excel? Then download as CSV and use our Getting Started page! – Downloading using the Safari browser might not work. Use Firefox or Chrome instead. 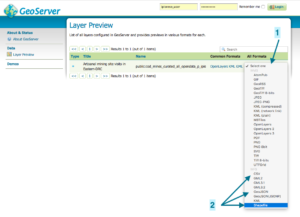 – Tabular layers (which have no geographic columns and can be identified by their name through “…_t_…”) can not be downloaded as Shapefiles or in other geographic formats, but can be downloaded as .csv or .json. No username/password is required. We’ve also enabled CORS and JSONP on our GeoServer to enable you to use WFS and WMS calls directly in your scripts, without the need to set up a proxy! The data we publish is available under the ‘Open Data Commons Attribution License (ODC-BY) v1.0’ license, which basically only requires a correct attribution to IPIS every time you use our data – see the full license and the human-readable summary. The datasets that are available for download are only a selection of the information we have collected over the years. If you are a researcher or student and are looking for other information you think we might be able to help you with, contact us. If you are an organisation interested in obtaining more information from the field, please contact us to explore how we can help one another – either using existing data or using our data collection experience to gather new information in the field. We look forward to see where our data can help! Don’t hesitate to send us feedback about our Open Data content or service, and drop us a line to show us what you made with it! For some of our webmaps, we’ve published much of underlying code to our GitHub. Our intent for doing this is to inspire and help other people and organisations with similar projects. By making the code accessible, we stimulate reuse and help create and open community. Feel free to take a look! Also, we organise Mapathons from time to time to contribute to OpenStreetMap.